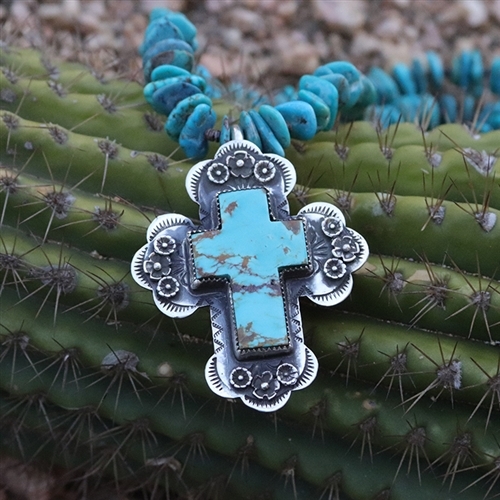 This unique and beautiful cross shaped piece of turquoise is placed on a hand-cut sterling silver cross that features scalloped egdes that are adorned with sterling silver flowers. 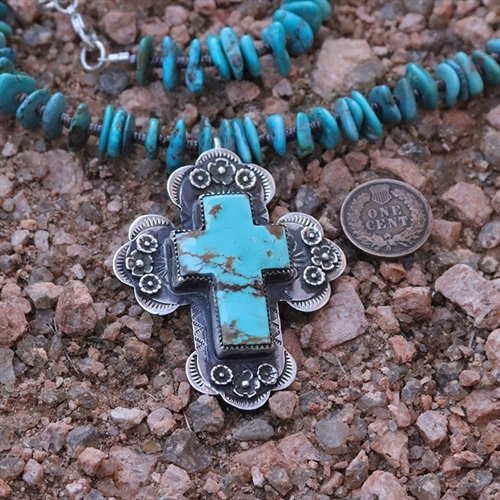 The pendant is 2 1/4" tall x 1 7/8" wide. 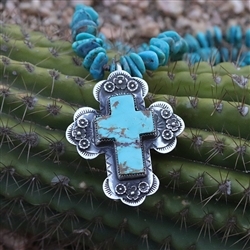 The pendant is available alone or on the 19" turquoise necklace shown.